Bitcoin has seen posted growth to break back above the $7,000 mark, with the overall crypto market seeing a healthy flush of green. Bitcoin ( BTC) has seen solid growth to break back above the $7,000 mark today, August 7. The overall crypto market is seeing a healthy flush of green, rallying forth after the weekend’s losses, as data from Coin360 shows. Bitcoin ( BTC) is trading around $7,118 at press time, up around 2.5 percent on the day. After several faltering attempts to break past the $7,000 threshold yesterday, the leading cryptocurrency has today seen a sustained uptick as of very early trading hours. Today’s growth has not yet pushed the coin’s weekly price change back into the green, however, which still remains at around an 8 percent loss. On the month, Bitcoin is now up almost 9 percent. The analyst also noted the recent uptrend in Bitcoin dominance by market capitalization, which as of press time is pushing 48 percent. In late July, BTC dominance had surged to 2018 record-highs, hitting levels not seen since last December, at a time when the coin was trading just below its $20,000 industry peak. Lee also singled out the Intercontinental Exchange’s (ICE) plans to develop a regulated, global digital assets platform — spearheaded by Bitcoin-fiat conversion for consumers — as a strong bullish signal for the asset. Ethereum ( ETH) is currently trading around $409, up around one percent on the day to press time. The altcoin is now closing its losses on its weekly chart: while the asset is still down around $20 from its price point at the beginning of August, only yesterday its weekly value loss was above $50. Closing down to a 6 percentage loss on the week, Ethereum is still around 1.5 percent in the red on its monthly chart. On CoinMarketCap’s listings, all but three of the top ten coins by market cap are in the green, although gains are capped at a modest 2 percent over the 24-hour period. Bitcoin Cash (BCH) is the strongest performer among the top ten, seeing around 2.4 percent in growth to trade at $708 at press time. EOS and Stellar (XLM) are also seeing solid gains, with the former up around 2 percent to trade at $7.15 and the latter up over 2 percent to hit $0.24 at press time. IOTA (MIOTA) meanwhile, has seen ongoing significant losses and is down to around $0.80 at press time. The asset’s 24-hour chart is indicating an almost 9 percent loss, and an intra-day plummet to as low as $0.74. On the week, IOTA’s performance has been volatile, after it briefly decoupled from the wider bearish market to stake short-lived growth before its subsequent plummet. 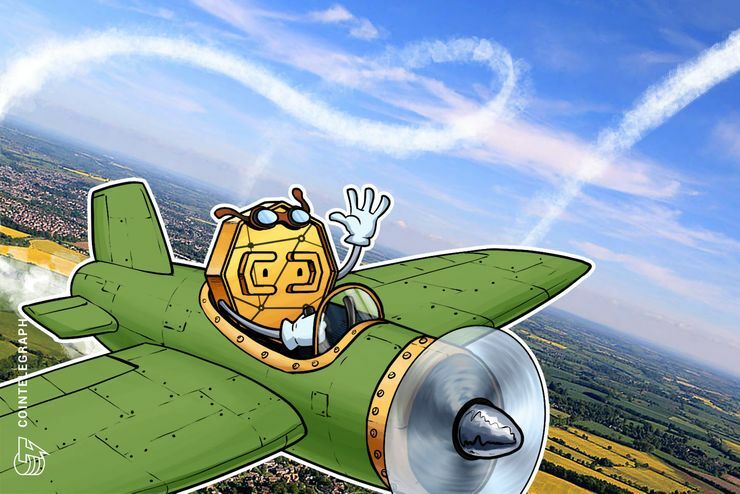 Among the top twenty coins by market cap, Ethereum Classic (ETC) is still riding major positive momentum, possibly triggered by news of its imminent listing on popular U.S. crypto exchange and wallet service provider Coinbase, which is set for August 7. The asset is up a almost 8 percent to trade around $19.70 at press time, likely buoyed by another burst of good news of its listing on zero-fee crypto trading app Robinhood yesterday. Total market capitalization of all cryptocurrencies is around $257 billion at press time, edging upwards as the market stakes its recovery, yet still down around $20 billion on its weekly chart. Indications of crypto’s impending institutionalization continues to break, with insider sources yesterday telling Bloomberg that Goldman Sachs plans to “offer [its clients] custody for crypto funds,” notwithstanding the bank’s claims “not [to have] reached a conclusion” on digital assets. Other traditional financial sector players are proceeding with similar caution, with UK-based bank Barclays today denying it is opening a crypto trading desk, while two employees recently removed LinkedIn evidence that they were working on digital asset-related products.